The Portuguese striker’s fifth league goal for Juve put him 10 goals ahead of Lionel Messi’s tally of 390 goals scored in Europe’s main leagues. Cristiano Ronaldo became the first player to score 400 goals in Europe’s top five leagues as Juventus dropped points for the first time this season following a 1-1 Serie A draw with Genoa on Saturday. 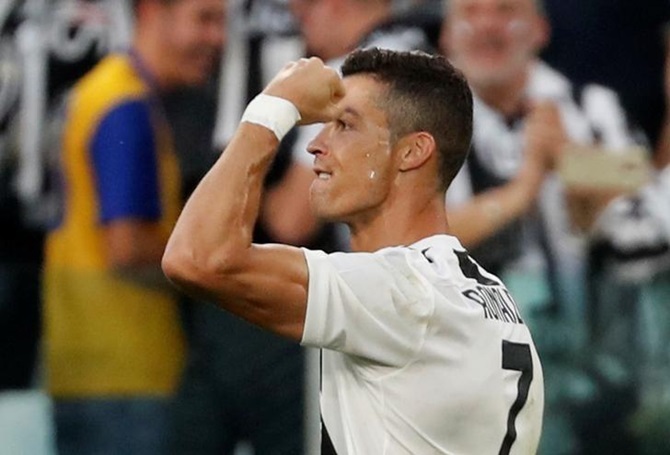 The Portuguese striker’s fifth league goal for Juve carried him to the milestone, adding to his 84 strikes for Manchester United in the Premier League and 311 for Real Madrid in La Liga. Ronaldo put Juventus ahead in the 18th minute during a dominant first half, but sloppy defending from the hosts allowed Daniel Bessa to draw Genoa level after the break and end Juve’s 10-match winning streak in all competitions. Juventus coach Massimiliano Allegri blamed his players for being sidetracked by their Champions League trip to Manchester United on Tuesday. “It’s simple,” he told reporters. “Genoa did well not to expose themselves, but these things shouldn’t happen. We played for 10 minutes and then started thinking about Manchester. “We went from being frenetic to falling asleep and vice-versa. We should have had our mind on the job. “I think it’ll be a good lesson for us, as this is a wake-up call, so everyone can remember that nothing is to be taken for granted. Every match has to be won on the pitch in 90 minutes. Nothing is guaranteed or won before we’ve stepped on to the pitch. Ronaldo had come close to opening the scoring after just 14 minutes when he powered a header onto the post from a Juan Cuadrado cross. The Portuguese opened his account just five minutes later, tapping in from close range after Genoa failed to clear their lines when Joao Cancelo’s shot took an awkward deflection inside the box. That effort put Ronaldo 10 goals ahead of Lionel Messi’s tally of 390 goals scored in Europe’s main leagues. The Argentine was on target for Barcelona in their 4-2 La Liga win against Sevilla. The atmosphere at the Allianz Arena was dampened after racist chants during Juve’s last home league game against Napoli resulted in a closure of the ‘Curva Sud’ section of the stadium. The Italian champions, though, were allowed to fill the seats with local school children. Krzysztof Piatek, who leads the Serie A scoring charts with nine goals, tested Wojciech Szczesny from range before flashing a header wide as the visitors improved after the break and drew level when Bessa headed home from close range on 68 minutes. 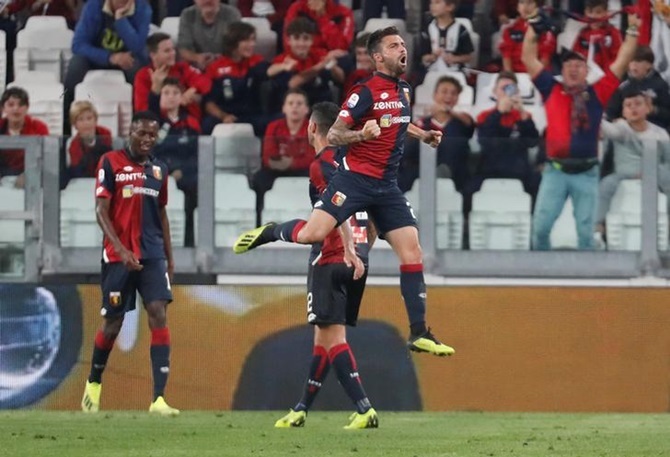 There were further chances for Ronaldo, Miralem Pjanic and substitute Paulo Dybala but Genoa stood firm to earn an unexpected point. Earlier, Roma were beaten 2-0 by SPAL courtesy of an Andrea Petagna penalty and a Kevin Bonifazi header either side of the break. The result leaves the capital club in sixth place before Sunday’s games, 11 points adrift of leaders Juventus. Real Madrid lose again. Will coach get sacked?